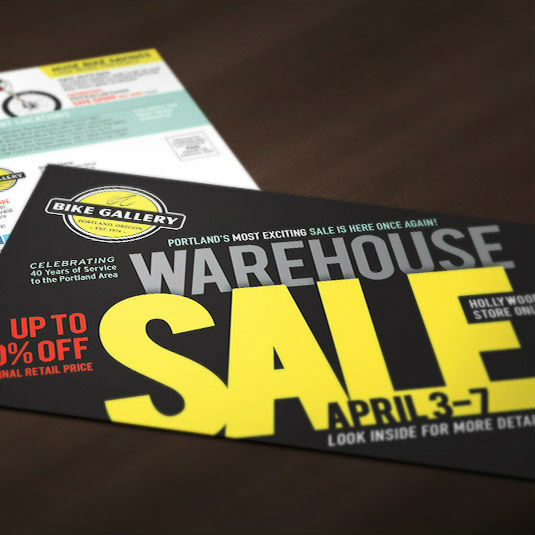 SmartEtailing direct mail helps independent bicycle dealers increase store traffic and grow sales. We provide expert marketing consultation and return on investment tracking. Direct mail is proven to bring customers into your store ready to buy. We work with our clients to develop personalized solutions and provide an unparalleled level of expertise in helping independent dealers market just like the largest outdoor sports and lifestyle retailers. 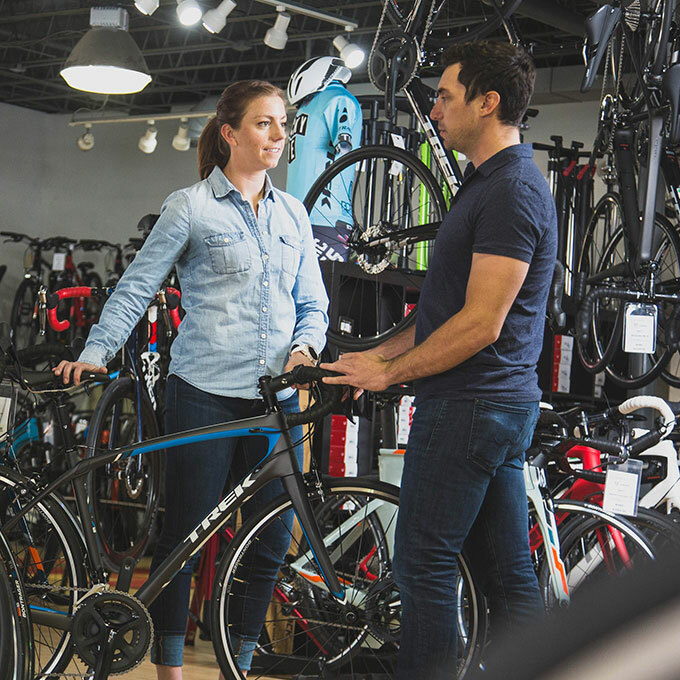 All we do is work with bike shops, so we know how important value is for any size marketing budget. 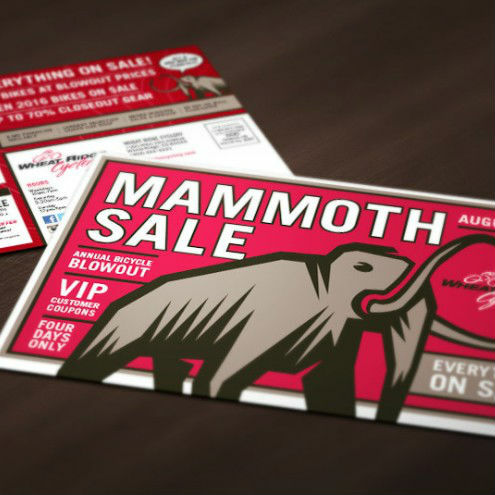 Our direct mail pricing is determined by style of mailer and quantity. We work with you to understand your business needs, marketing objectives, and budget. We evaluate your customer list and recommend the most efficient and profitable direct mail project for your business. SmartEtailing offers several categories of direct mail, each specifically designed to achieve success with their specific goal. When you have a local or national sale event happening in your store we recommend that you do what the nation’s best retailers do - send direct mail. For nationwide manufacturer promotions, SmartEtailing partners with brands to develop localized mailers that leverage national branding. For retailers with local sales, SmartEtailing can design unique local sale themes that have the same level of quality and appeal as a national campaign. Customers shop your local competition and online stores for convenience, variety, and bargains. You need to actively compete for a larger share of your customers' spending if you want to grow your business. That is why we developed Loyalty Mailers. This program encourages increased purchasing from your best customers by putting compelling offers with limited redemption windows into their hands at critical times of the year, giving them a reason to shop at your business. These mailers are not tied to a sale event. These mailers feature detachable coupon cards and are sent to your very best customers as a reward for loyalty. You benefit from volume pricing because your mailing will print alongside hundreds of thousands from other dealers. Your mailing will be customized for your business and we'll ship at the right time for your promotion. We integrate coupons into each mailing so you can easily and effectively measure your return on investment. Most campaigns feature barcode coupons to streamline your sales process. The more coupons customers bring in, the better the campaign. Mailers are available three times a year and are purchased on a per-promotion basis with no annual commitments. Mailers are available to ship anywhere within the 48 Contiguous United States. For each promotion, we design pre-formatted options to compliment graphics for national campaigns. If you would like to change lifestyle images, accent colors or text, we are happy to accommodate your requests at no additional charge. We also offer completely custom designed sale themes as well. Click here to view direct mail design samples. SmartEtailing prints and ships our mailers from a facility centrally located in Omaha, NE. This shipping map shows the projected delivery timelines to your market. We will work with you to select a ship date for your mailer. 100% prepay with a credit card is required for all orders under $5,000. Orders over that amount may qualify for our payment plan pending credit approval. All payments or deposits must be in-hand before artwork is submitted to the printer. When you sign-up, SmartEtailing will provide you with clear instructions on what data to export for your mailing list. SmartEtailing will clean your mailing list to determine the deliverable quantity. You may choose to mail to the complete list or sort the list to a specific quantity in order to meet a pre-defined budget. Are you ready for SmartEtailing direct mail to help you grow?